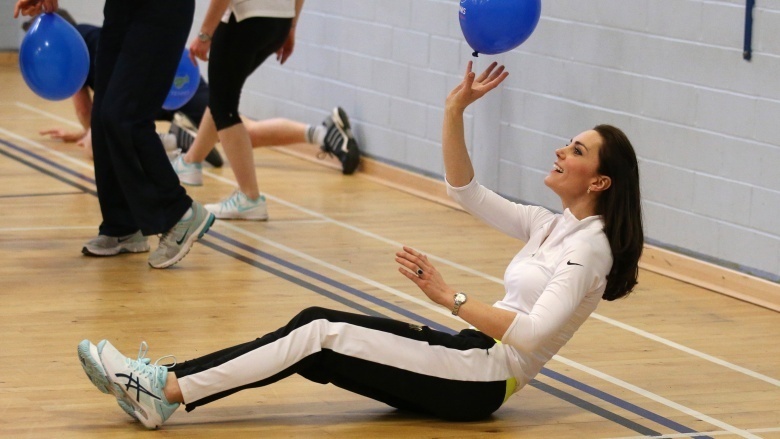 In a dazzling real-life Cinderella story, Kate Middleton spent her idyllic childhood going to school, playing sports, and selling cookies for her local Brownies club like the rest of us, and then grew up to become Catherine, Duchess of Cambridge. She captivated a world audience when she first stepped out into the spotlight as Prince William’s girlfriend, and she’s lit up the presses ever since, with every stylish, bold, and brilliant move she makes. Royal by marriage, the natural beauty stays true to her commoner roots, while modernizing her roles as mother, Duchess, and philanthropist. She is head-to-toe grace and beauty, with a genuine heart for the people. She is as stylishly iconic as she is down to earth. And with an alluring candor, a jaw-dropping designer wardrobe, and the courage to change the world? She’s just the princess we’ve been waiting for. In 1999, 17-year-old Catherine was in her final year at Marlborough and studying for A-level exams in chemistry, biology, and art. 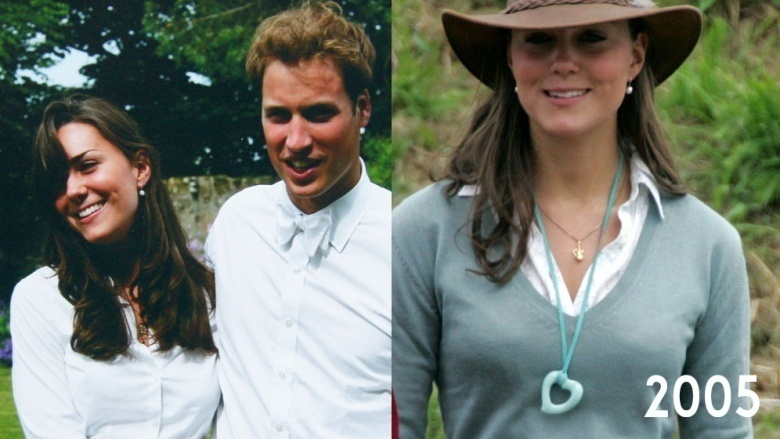 In pictures from this last year at the boarding school, we begin to see the future Duchess of Cambridge exploring her fashion sense, sporting the women’s polo shirts, sheer florals, and Y-necklaces popular during this era. While her eyebrows are a tad unrulier than she keeps them today, it’s obvious that Kate has always had a fantastic peaches-and-cream complexion that requires very little makeup. While Will and Catherine met at St. Andrew’s College in Scotland in 2001, it wasn’t until a year later that their relationship transitioned from friendship to romance. Reportedly, this was the dress that started it all. Catherine had been enlisted to wear the see-through number during a 2002 charity fashion event to benefit the school, and it definitely caught William’s eye. There isn’t a whole lot of fabric involved in the risque dress, which is perhaps why William liked it so much. 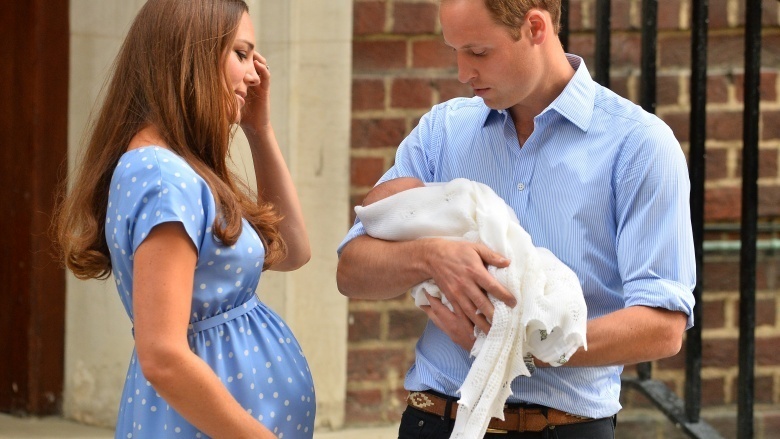 One remarkable thing we noticed about the future Duchess in this photo: her hair! While Kate has naturally wavy locks, the messy spiral curls she wears here look great on her, accented by a single braid wrapped in raffia. The romance between Prince William and his future bride-to-be blossomed through their college years, and they graduated together on June 23, 2005. Catherine graduated with an honors MA in Art History and soon after took a job in the fashion industry as a buyer with the clothing chain Jigsaw. It seems Kate found her favorite hairstyle, as the long and loose face-framing layers she sported here continue to be how she primarily wears her hair at the time of this writing. We’re not a huge fan of the Crocodile Dundee leather hat, but hey — you can’t be perfect all the time! Her relationship with the future King put Catherine in the crosshairs of the media, and she had to face paparazzi who hounded her day and night since she graduated two years before. The pressures of being William’s girlfriend proved too much strain on the royal relationship, and in spring 2007, the couple split up. 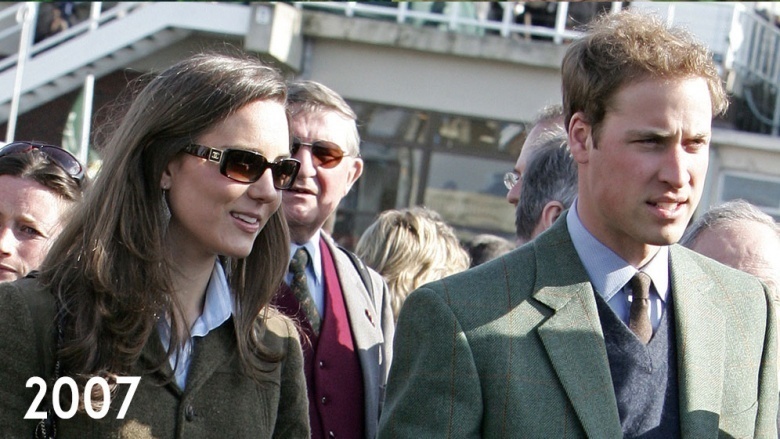 Despite Kate looking comfortably stylish in tweeds and Chanel sunglasses at the Cheltenham race course, this would be the last photo taken of the couple before their relationship ended. The split would be short-lived, however, as the couple reunited later that summer — not long after a tribute concert for William’s mother, the late princess Diana. By 2010, public speculation was at a fever-pitch over when Prince William would finally ask Catherine to marry him — she was even dubbed “Waity Katie” by the media, due to her eight-year wait. The couple put the rumors to rest finally on Nov. 16, when they formally announced their engagement. In this official photo from Buckingham Palace, we can see Catherine’s sense of style that’s made her famous: classic and elegant, pairing simple lines with minimal makeup and understated jewelry. One piece of jewelry in this photo did make waves, however — the same gorgeous diamond-and-sapphire engagement ring that William’s father Charles gave to princess Diana when he proposed to her in 1981. The image of Catherine in her blue engagement dress became famous, and would spawn portraits, commemorative plates, and even dolls modeled after her in the coming months before the wedding. 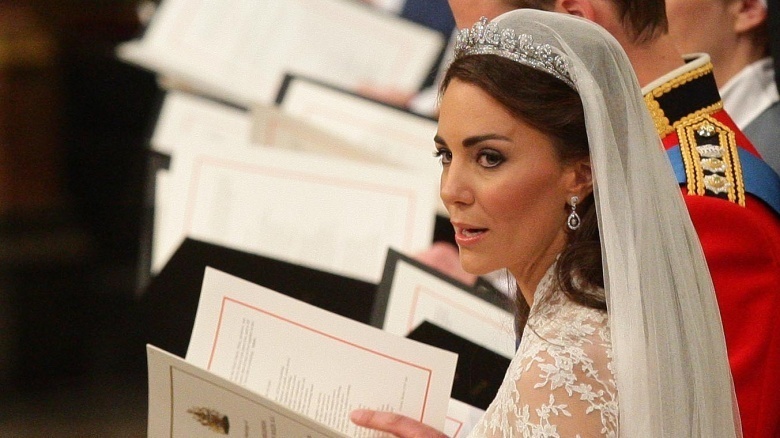 The months leading up to William and Catherine’s wedding on April 29, 2011 were filled with a media feeding frenzy as papers vied to learn what Kate would be wearing for the wedding. British bookies even began taking bets on who the designer of the dress would be. 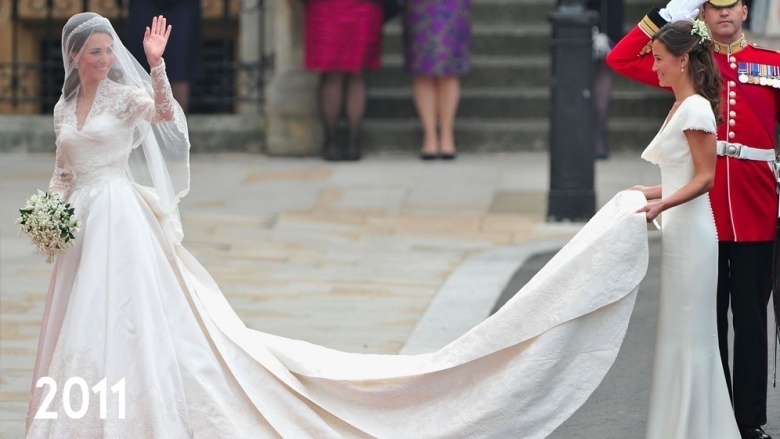 When she emerged in front of Westminster Abbey in a gorgeous gown designed by Sarah Burton of luxury fashion house Alexander McQueen, copycats started taking notes immediately. The ivory wedding dress combined classic elements from the 19th century, including Victorian-style lace and bustle, with a modern cut and simplicity that makes it a timeless gown that would look amazing on any bride, even 30 years from now. 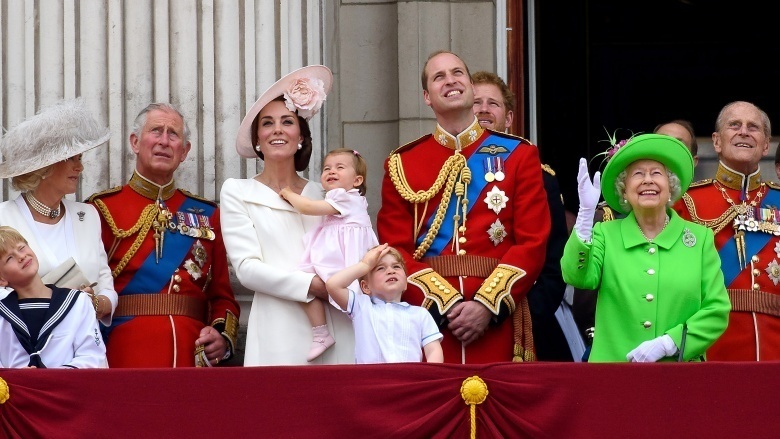 Since the royal marriage, Catherine has continued to be a fashion icon. Her classy but never ostentatious style has drawn comparisons to that of Grace Kelly. From the tiny “hatinator” headpieces she favors (which sparked a worldwide trend in the early 2010s) to the maternity fashions she wore during both of her pregnancies, it seems everyone wants to wear what Kate is wearing. If you want to emulate the Duchess’ look, you don’t have to purchase copied pieces hurriedly made by online retailers. Whether you’re attending a gala dinner, a business event, or a casual day party, just remember to keep it simple. Catherine’s styles are never loud, and she stays away from flash-in-the-pan trends. Choose A-line or sheath dresses of any length that flatter your figure, and complement the look with simple makeup, jewelry, shoes, and a handbag. 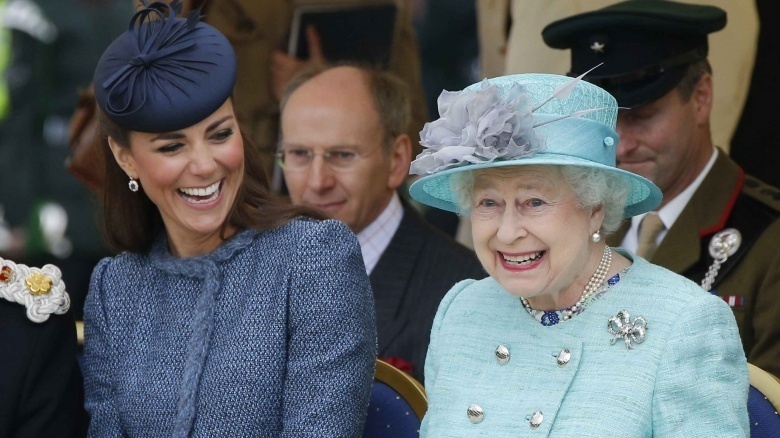 Keep these tips in mind and you can look just like the Duchess at your next event. Duchess for the people, Kate was photographed in 2016 leaving a Lululemon shop in Chelsea, London wearing — you guessed it: Athleisure. She may be full-time royalty, but she was rocking “off-duty model”, in chic black leggings, Asics, and an Alice Temperly leather vest. All to the tune of over $3,500. Leaving her traditional couture at home, the stylish mother-of-two took that gym-to-street look to the next level, while sporting her bouncy, “Pantene commercial” blowout! She has also proven her dedication to this work with her devoted patronage to such wellness institutions as London’s Anna Freud Centre, which provides services for children with mental health concerns, according to Us Weekly. In late 2015, Kate returned for another visit with children at a Christmas party there after previously visiting in September. 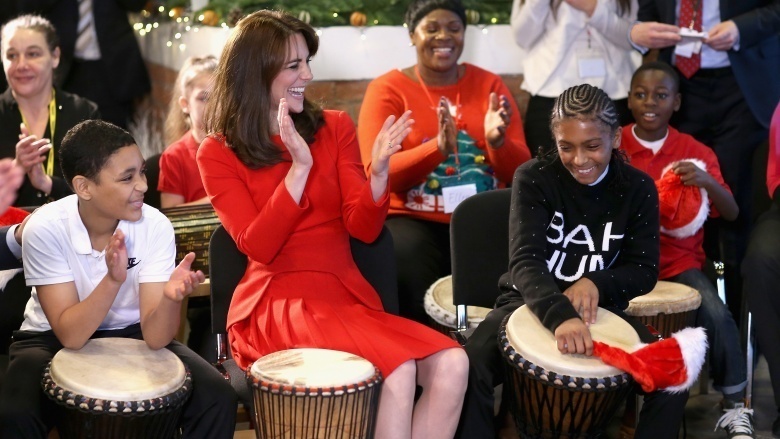 A spokeswoman for Kensington Palace told Us, “Her Royal Highness is keen to draw attention to the ways in which this charity is working to lead a step change in children’s and young people’s mental health care.” The Duchess not only talks the talk, but she’s also down for a holiday crafts with some amazing kids. There has been a lot to learn. An article in Vanity Fair laid out the formalities, should Kate hang out with the royal family, without William; “According to protocol, if William is not present, Kate is expected to curtsy to all senior members of the family, including blood princesses Beatrice and Eugenie, and she is always expected to curtsy to Camilla and the Prince of Wales.” No wonder she and William opted for a secluded country home, Anmer Hall, in Norfolk — just to relax! You might imagine a future Queen would spend all day getting massages and drinking beauty elixirs. Well, not this 34-year-old Duchess! She’s a DIY-er, and happily gussies herself up before events. She even did her own makeup on her wedding day! 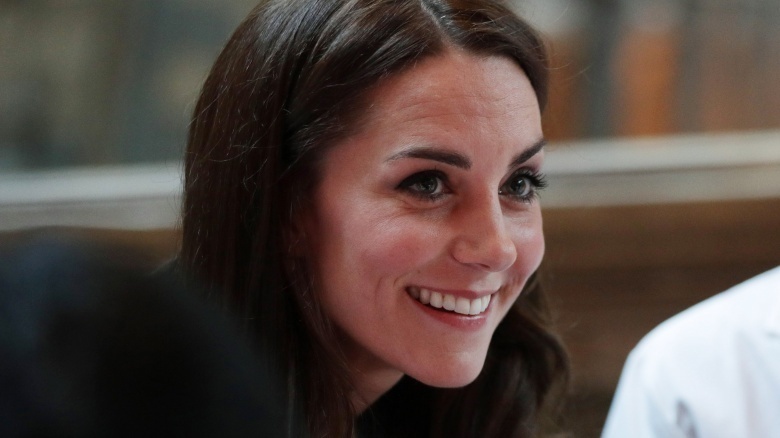 While she is more polished and current now that she’s part of the royal family and able to afford a luxurious beauty regimen, Kate’s genuine smile might be her most enviable trait. Where does it all come from? She says, “I’m just reciprocating. Everyone is so warm,” Vanity Fair reported. Another reason we all love Kate? She keeps it real by wearing her clothes more than once! 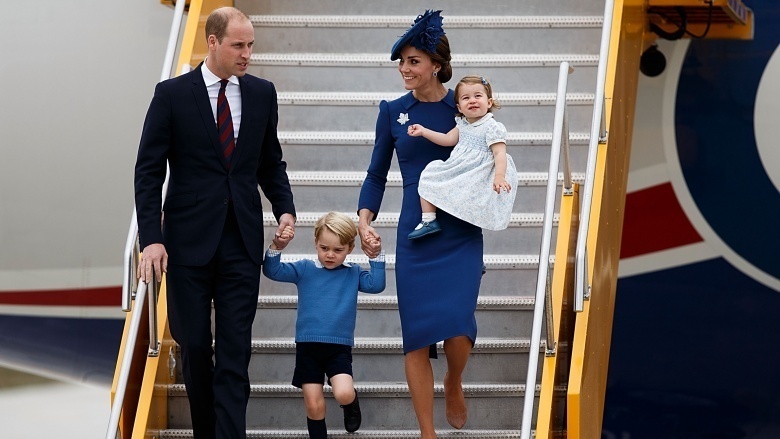 Perhaps typical of her life before William, it’s brilliantly unexpected now, seeing as how Kate receives a royal allowance from father-in-law, Prince Charles: a portion of $4.6 million, PEOPLE reported in 2015. Before you start thinking of the shoe closet you could have with that kind of cash, the funds cover William and Kate, and Prince Harry. And are designated for things such as travel, staff, and yep — official wardrobes! 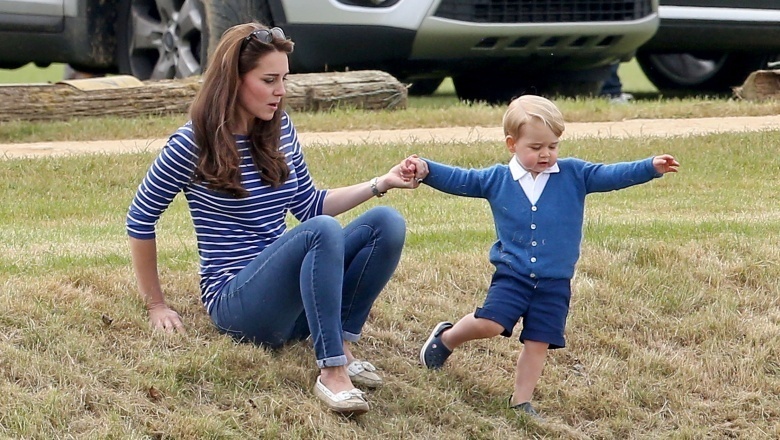 #RoyalLife, right? So how come the 34-year-old style icon so publicly puts those duds on repeat? 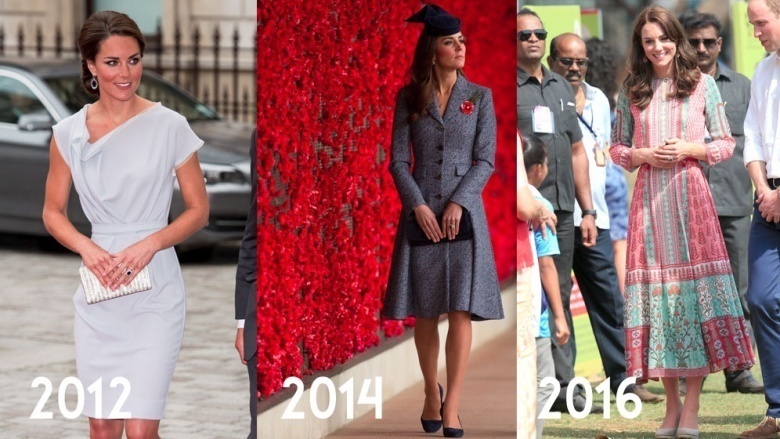 Digital brand expert Holly Peacock weighed in, saying, “The Duchess has learned from the many, many times her outfit has been sold out online almost immediately after she has worn something. Reacting to this she clearly tries to use her influence wisely; choosing UK or local designers, choosing affordable outfits and extending this to her children. She is quite a down to earth public figure that has no shame in showing the rest of us that she is as normal as we are, she doesn’t live by the celebrity ethos of being photographed once in an outfit and then throwing it away, and this is one of the things the nation loves about her.” And, let’s be honest, if we had her bespoke Alexander McQueen dress in our closet? We’d wear it every day of the week. Even though her official title remains “Her Royal Highness, The Duchess of Cambridge”, or “Princess William of Wales”, or even “The Countess of Strathearn”, there’s a reason we insist on sticking simply with Kate. She’s one of us. She was just lucky enough to be plucked from normal life, and vaulted into a fairytale most of us can only dream of. She’s like that best friend we fondly remember, who inspires us to be kinder, more interested in the wellbeing of others, gentler with ourselves, and to maybe throw on a pair of earrings with our sweats. A positive influence toward everyone she encounters, and a truly illuminating spirit, Kate Middleton proves you can have it all. And then give it right back, to those who need it most.